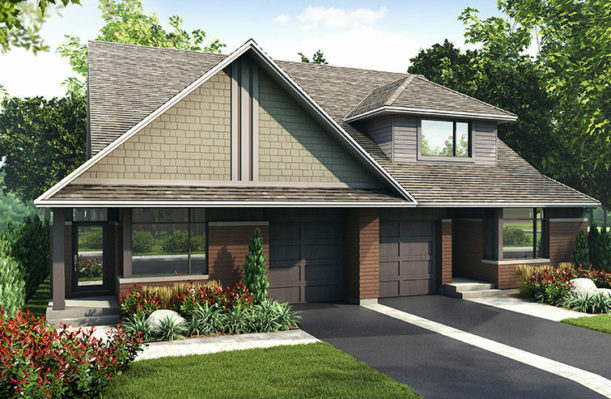 Award-winning new homes in Ottawa and home building excellence for over 25 years. Uniform’s boutique approach to homebuilding combines inspiring architecture, along with Uniform’s renowned quality craftsmanship. 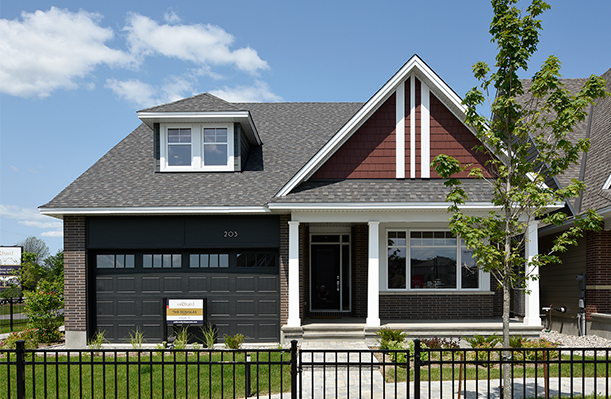 Through our exceptional attention to detail in new home design and construction, Uniform has continued a proud tradition of homebuilding excellence in Ottawa. Choose from our Hobin Architecture Inc. designed collection of 2-storey single family homes, bungalows, townhomes, Flats and early occupancy homes. Located in the prestigious Stonebridge community across from Uniform’s established Orchard development, Grandview Court is a desirable infill community adjacent to the Stonebridge Golf Club. 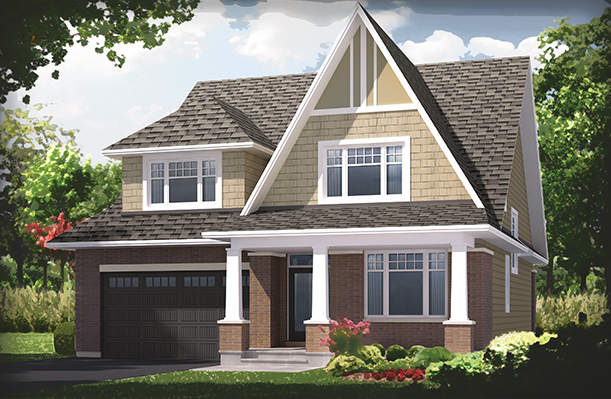 Uniform is excited to be introducing newly designed bungalow semis and bungalows towns with optional lofts, designed by Hobin Architecture, in what will ultimately become a beautiful place to call home – Grandview Court. Enjoy easy, single storey living in our selection of uniquely designed bungalows. Constructed with raised ceilings and exterior peaks, these distinctively designed bungalows offer spaceous living and blend seamlessly into the streetscape of all our communities. Thoughtfully built with exceptional attention to detail, our 2-storey single family homes, designed by Hobin Architecture Inc., provide a wide range of spaces and options to suit any lifestyle. 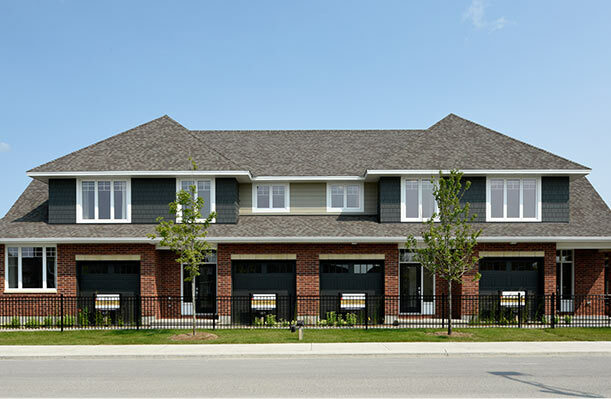 To create variation in streetscape and to offer our homebuyers a vast selection of homes styles and floor plans, we have created three different series of homes: the Cambrian, the Laurentian and the Adirondack. 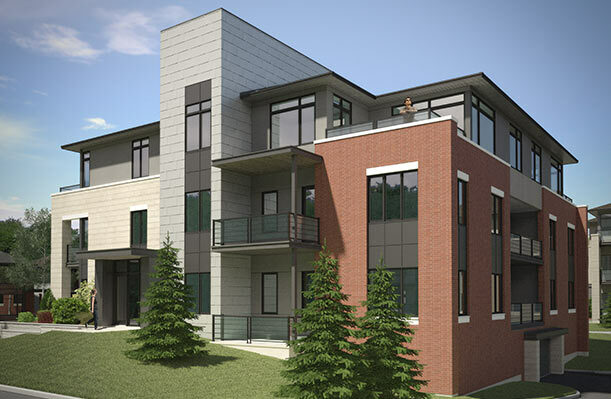 Designed with character, prominence and sophistication, these welcoming Townhomes offer something extraordinary to complement your busy, modern lifestyle. Now you can enjoy the beautiful finishes and higher quality standards of a Uniform home. This exciting new enclave of condominium Flats offers the best in maintenance-free living. Every suite is professionally designed, with Uniform's exceptional attention to detail and features expansive windows, custom cabinetry in the kitchen and bathrooms, stone counters and a built-in gas hook-up for BBQs. Other amenities include underground and above ground parking, convenient storage space and a Clubhouse exclusively for this enclave of Flats. Strong and contemporary, these semi-detached homes feature sophisticated accents, clean rooflines and varied materiality. Alone, each home conveys its own unique personality and together, each pair forms an impressive presence within the Wateridge Village streetscape. 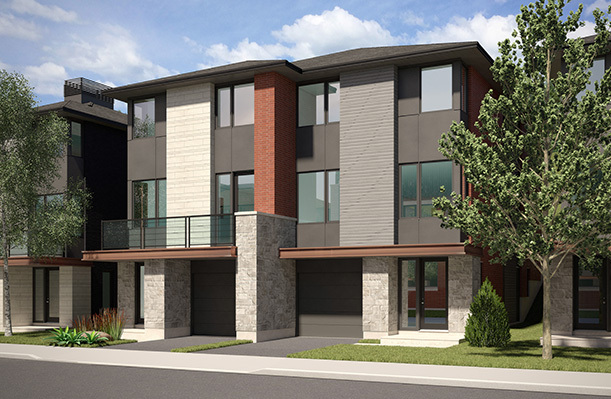 Stunning interiors with open concept spaces, large bright bedrooms and expansive flex space developed in each lower level, the Village Series is remarkable in both functionality and appearance. CURRENTLY NO 2-STOREY SEMI-DETACHED HOMES AVAILABLE. An urban retreat to call your own rich with history. 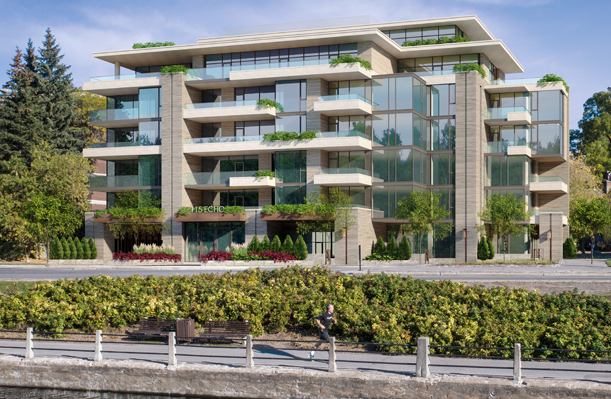 At ECHO, the past complements the future with the storied history of the Rideau Canal meeting the modern vision of Uniform Urban Developments and the renowned design of Hobin Architecture Inc. Enjoy outdoor living on your spacious terrace in one of THIRTY-EIGHT UNIQUE RESIDENCES at ECHO. Early Occupancy homes have already been built, or are nearly complete, and are available for those homebuyers wanting to move in to their new home as soon as possible. We design and build each Early Occupancy home to the same exacting standards as all of our homes and extend our personal customer service to each of our new homeowners. Your new home awaits.